This article is 2604 days old. Sunday afternoon, stop in at the Oakwood Community Centre for an afternoon of fun, fitness and music all for a good cause! 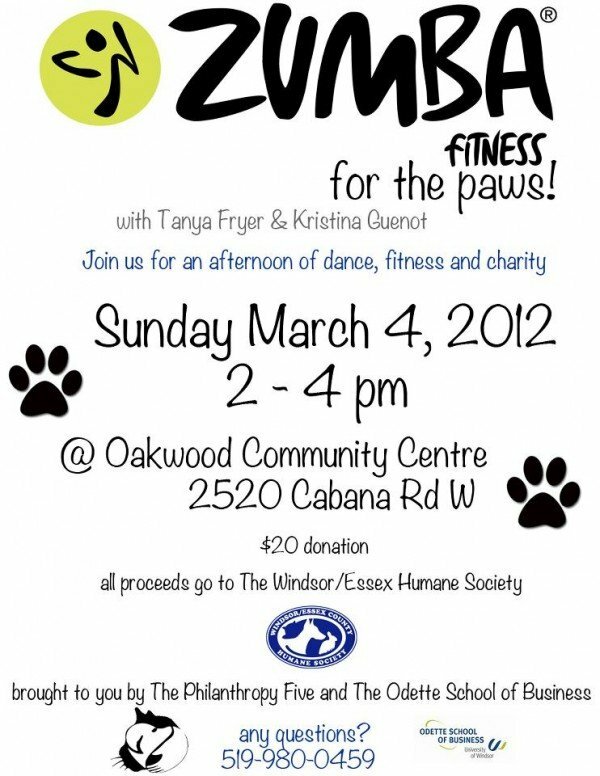 For a donation of $20, you can enjoy two hours of Zumba fitness fun in support of the Widnsor Humane Society. This event is being hosted by a group of University students, but non-students are welcome! 100% of the proceeds are being donated to the Humane Society.